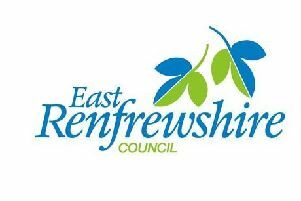 Firefighters working to protect East Renfrewshire want the public to help them ensure everyone is safe and confident in their homes. While the area continues to see very low numbers of fires and related casualties its Scottish Fire and Rescue Service (SFRS) team is clear no-one can afford to think emergencies only happen elsewhere. There were 15 accidental house fires in East Renfrewshire between 1 October and 31 December 2015. The figure represents a 13 per cent fall compared to the average for the same period over the previous three years however, despite the low number of incidents, tragedy struck in October when a woman was killed in a fire. Group Manager Stephen Wright recently gave the area SFRS team’s quarterly briefing to councillors. He said: “East Renfrewshire is a very safe place but the fact is fire can happen anywhere and to anyone. In the days following the incident in Newton Mearns SFRS crews visited 230 homes in the area to offer residents their support and professional advice. It resulted in firefighters carrying out 76 free home fire safety visits, highlighting potential hazards and helping householders take small steps to reduce the risk of an emergency happening. The crews also checked the homes were equipped with adequate fire detection and installed working smoke alarms where they were needed. Reaching those who could be at highest risk is particularly challenging however and the fire service wants everyone in East Renfrewshire to help protect the area by putting it in contact with potentially vulnerable residents. Group Manager Wright explained: “Many people keep an eye out for someone who is older, who lives alone or who has physical or mental health conditions. He continued: “Firefighters are all too aware of the devastating impact a house fire can have – even when no-one is hurt the damage to a person’s sense of safety and the loss of cherished possessions cause lasting emotional trauma. Free home fire safety visits are available by calling the freephone number 0800 073 1999, by texting ‘FIRE’ to 80800 or via the SFRS website www.firescotland.gov.uk.